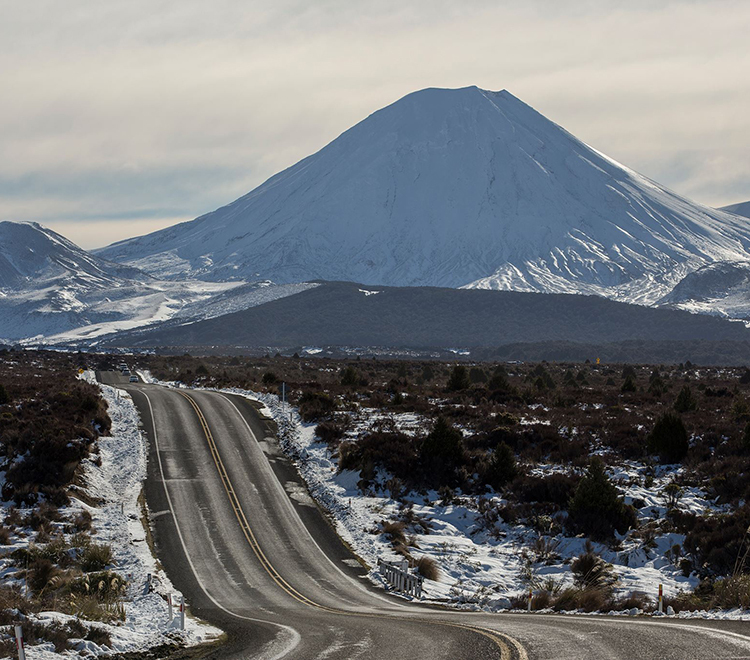 Whether arriving via National Park or Waiouru you will enter Ohakune on State Highway 49. Locate the Ohakune i-SITE on State Highway 49 and take the street directly opposite here – this is Goldfinch Street. Travel 2.2 kilometres along Goldfinch Street, which becomes Mangawhero Terrace at a slight left hand bend. We are situated on the right hand side of the road just before two low-level bridges right at the bottom of the Mountain Road. Regular international flights to the North Island arrive at Auckland, Rotorua and Wellington airports. Flights can be made domestically to Taupo domestic airport, which is a 1 hour and 30 minute drive from the hotel. Upon arriving in New Zealand, your journey to Ohakune can be made by car, bus or train. Visit the Air New Zealand website for flight availability and timetables. We are situated one block (2 minute walk) from the Ohakune Train Station. The Northern Explorer operates 6 days of the week and departs Auckland, Mondays, Thursdays and Saturday. Departs Wellington on Tuesdays, Fridays and Sundays. For more information visit The Northern Explorer website. We are 2.2kms from the InterCity bus stop. InterCity and The Naked Bus services provide daily bus services from a number of North Island locations to Ohakune. For more information visit the InterCity or The Naked Bus websites.